KIRO’s “Re-Holster Gen 2” is a reinforced “mouth” and stitched-in sight rails holster. 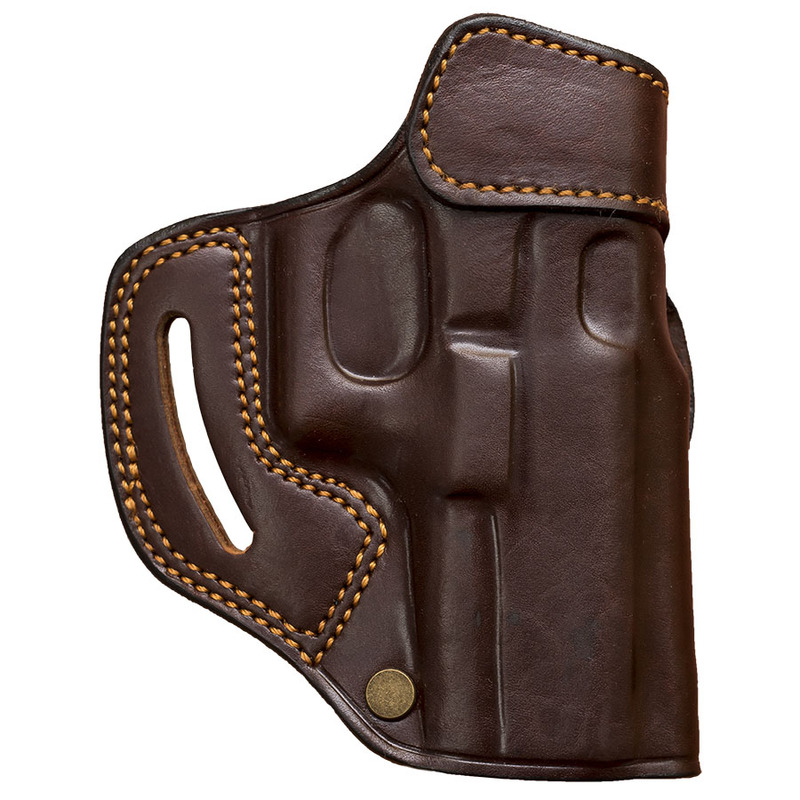 The “Re-Holster Gen 2” is constructed of premium saddle leather and features a reinforced holster opening for ease of re-holstering. A neutral cant carrying allows users a combat positive grip. The “Tunnel Loop” directs the pistol easily and comfortably in and out the holster assuring a quick draw and an easy re-holdtering of the pistol. This holster will hold your gun in a position with minimal footprint and will allow a positive grip for a quick, efficient draw when needed. A minimal leather thickness of 3mm. Extra Water & Moisture resistant. Snug fit for reduced pistol finish wear. Suitable for use with belts up to 1.75″ (45mm). Spring steel-reinforced top for easy re-holstering. All KIRO leather products are covered by unlimited, transferable, lifetime warranty against all flaws in materials and workmanship.